This Amazing Selling Machine review was written after years of being a member of the program. So I can speak with complete authority on the subject because I have taken the course myself. Most people that post an Amazon Selling Machine review do so because they are an affiliate of the program and are just trying to make money. Although I too am an affiliate, I am reviewing the program as someone who has 4 years of experience actually putting into practice what is taught in the course. So the Amazing Selling Machine review below is my completely UNBIASED review based on my 4 years of experience with the program. I’m currently a member today and I am still selling products on Amazon. Matt Clark was born into a family of entrepreneurs. He graduated from the University of Houston with a double major in Finance and Entrepreneurship. He also graduated from the renowned Wolff Center for Entrepreneurship. His first so-called “normal” job in an investment bank after graduation made him realize that he needed a career that would allow him to exercise his creative entrepreneurial passions. He started his first online business at age 22 selling health supplements even though he knew nothing about online selling. He learned by trial and error, and went on to launch other online businesses. When Amazon launched its retail division, Clark saw it as an opportunity to reach a whole new market. Clark saw even greater success selling through Amazon, and as one of the earliest retailers to embrace this platform, he became a respected authority on Amazon selling. Today Clark continues to operate his company and is a sought-after public speaker. Jason Katzenback trained to be an engineer, but after six months in that field, he felt unfulfilled and longed to generate his own success. He started his own business, which quickly became a million dollar company. However, what Katzenback was most passionate about was teaching others to achieve the same type of entrepreneurial success he found. In 2012 he teamed up with Clark, who shared the same passion, and the two started Amazing.com. Katzenback remains committed to both his businesses and to inspiring others to pursue their dreams. Like Clark, Katzenback is also a popular motivational speaker today. The assumption that can naturally be made is that, by taking this course, students should be able to expect to build an Amazon selling business that will bring in $100,000 per month. The Amazing Selling Machine is an 8-week, online course which costs $4,997.00 (or six monthly payments of $997) to enroll (at the time that this Amazing Selling Machine review was written). As a value-added bonus, registrants also receive admission to a 3-day “Amazing” event in Las Vegas and a lifetime membership in the Amazing Selling Machine community, which includes an exclusive online forum. 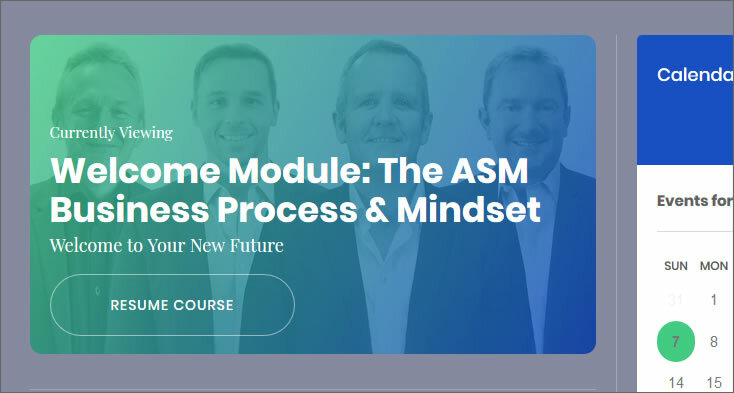 The Amazing Selling Machine is an eight-week course containing 15 modules (14 “regular” modules and a “bonus” module) delivered online. Each module contains multiple lessons (between 15 and 26 each). The course is based on Clark’s and Katzenback’s own successful business model and philosophies. Students who pay the $3,497 tuition fee (or $3,998 if paying by the installment plan) will learn how to apply the principles from the course to launch and maintain their own Amazon business. (Note: this course may vary in price). Where to find products cheaply (to increase the profit margin on each item sold). How to deliver the product to the customer using Amazon’s popular Fulfillment by Amazon shipping program. Plus, it also teaches students all of the intricacies and fine details of how Amazon works and how to leverage this information for their own benefit. On top of this they are constantly updating the course to offer the newest and best strategies that are working right now. 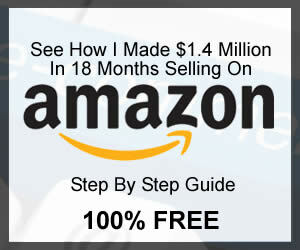 Course creators Clark and Katzenback claim that, by successfully completing The Amazing Selling Machine course and applying the techniques it teaches, graduates can expect to create Amazon-selling businesses that bring in at least $100,000 per month. 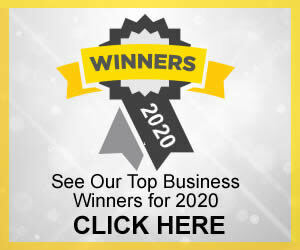 It is the same business model which made Clark and Katzenback wealthy, and there are numerous testimonials on the website by former students who also claim to have become wildly successful after taking the course. The course has been developed so that anyone, regardless of their previous experience, can launch and operate an Amazon selling business, and they need not even store any stock if they so choose. The Amazing Selling Machine course touches on a variety of topics and concepts related to selling online (many of which can be applied to other types of online selling). 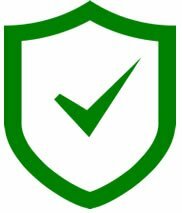 At the heart of the course content,though, is the idea of private labeling. Private labeling is the practice of picking products which are already being manufactured and even sold elsewhere online and placing your own brand on them. The Amazing Selling Machine teaches students how to scout out other products already being sold on Amazon and then buying the same products to sell under your own label. The idea is to capitalize on what’s already popular with Amazon buyers and then packaging and marketing it better than the competition. The Amazing Selling Machine also teaches students how to sell their products without having to actually store them themselves by having them sent from their supplier. This is a method known as drop-shipping. The seller doesn’t have to worry about renting warehouse space or filling up their garages or basements with stock. When Amazon launched its Fulfillment by Amazon (FBA) service, it meant that sellers could opt to have their product stored in Amazon’s own warehouses. This way, when a customer orders from an Amazon seller, the product can be shipped directly from Amazon. The seller never even has to interact with the actual product, and often doesn’t have to interact with the customer, either. In addition to teaching students how to ship through Amazon’s FBA program, the course also teaches students how to source cheap products to sell. The course largely focuses on wholesalers located in China, and even provides students with a list of legitimate wholesalers to buy from. As of October 2018, The Amazing Selling Machine was in its ninth reboot with ASMX, and has been offered periodically for the last several years. The course is continually being re-vamped and updated (which is why it has had seven versions) to reflect changes in the marketplace, as well as to Amazon’s policies and algorithms. In this respect, the prospective student can feel assured that they are receiving the most current and accurate information possible. This is one of the best parts about The Amazing Selling Machine. They’re continually on the cutting edge of what’s happening on Amazon and keep members up to date. Not only will you learn everything you would ever need to know about selling on Amazon, the Amazing Selling Machine has an incredible community that are there to help answer any questions you may have along the way. Other programs just don’t have communities that are this active. The community you will find here is an invaluable part of the program and there is really no price tag that can be put on association with others who have already done what you want to do. The Amazing Selling Machine limits the number of students that it accepts with each session it offers. Not only does this help the company manage the quality of its course content and the progress of its students, it also makes a good selling tactic, because it imparts a sense of urgency on the part of the prospective student to sign up or risk missing out on participating. This is exactly what prompted me to finally sign up for the course. There was a limited sign up period and the course creators said that they would not open the doors for enrollment again for 6 months or more. Now, I have seen enough courses and programs that use this “scarcity tactic” saying there is a limited time to sign up. So, I wasn’t sure if this was one of those fake tactics to try to get me to make a decision. However, I was very interested so I didn’t take the chance. After singing up and working with the program for over a year, I saw that it was indeed true. The course only opened once or twice a year so this WAS NOT A FAKE gimmick to get people to sign up. They truly did shut the doors for long periods of time so it was good I made the decision when I did. Most people who post or leave an Amazing Selling Machine review leave a positive review. However, it is important to point out that most of the positive reviews were connected to sites that were affiliated with The Amazing Selling Machine, that is, their owners were pushing sales of the course on their own websites. This certainly does not mean that the reviews are not genuine. It is very plausible that these reviews are provided by former students (LIKE MYSELF) who are so enthusiastic about their experience that they felt that they had to jump on board the train. There is nothing wrong with this, of course. We do believe, though, there are many people posting an Amazing Selling Machine review who have no experience with the course and are simply trying to make a buck. So be careful which Amazing Selling Machine review you listen to. The most common “complaint,” so to speak, that we saw from other reviewers of The Amazing Selling Machine was its price tag. Many seemed to think that $4,997 was too much to pay for the information this course teaches. So, the big question is: is The Amazing Selling Machine worth its $4,997 price tag? I will answer here in this Amazing Selling Machine review. As a stand-alone course, The Amazing Selling Machine is comprehensive, thorough and provides students with all of the facts and information they need to sell successfully on Amazon using FBA. I believe that The Amazing Selling Machine does deliver what it claims to and I have the experience to show that is does. However, I do feel we must compare apples to apples, so to speak in this Amazing Selling Machine review. The Amazing Selling Machine is not the only course on the planet teaching people how to sell products on Amazon. There are many courses out there that teach Amazon-selling and a number of them cost less (some significantly so) than The Amazing Selling Machine. and NONE compare to the quality that is found in the Amazing Selling Machine. Most of these courses teach the basics of selling on Amazon but none are updated and revamped to keep up with the constant changes on Amazon like the Amazing Selling Machine. So in my opinion, it is absolutely worth the price! Many people will say “but I can find all if this info for free online”. While this may be true, the problem is, it can take a very long time to compile all of this information into a meaningful format. You also wouldn’t get the benefit of instruction and insight from others (like Clark and Katzenback) who have gone before and learned the nuances of buying a product and re-selling it online, choosing popular products and marketing it to the right audience. I signed up with the Amazing Selling Machine in the spring of 2013 after receiving an email from a well known marketer I followed. I was skeptical at first because the price seemed so outrageous. How could I justify spending over $2,500 for a course when I had seen others that are so much cheaper? I looked for people that had posted an Amazing Selling Machine review but at that time, there were only affiliates promoting the course so nothing that could truly be trusted. 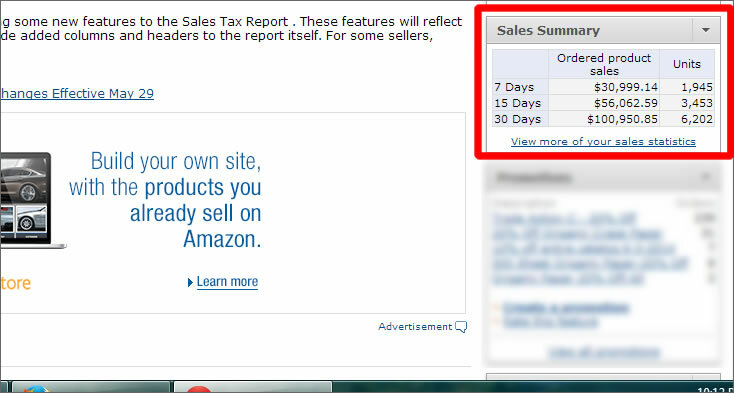 So in May of 2013 I began taking the lessons offered in the Amazon Selling Machine course. It was an 8 week course consisting of 8 different modules that were released weekly. Each week I would go through each lesson that was available. One of the things I immediately loved about the course were the ACTION STEPS included with each lesson. At the end of each lesson are ACTION STEPS. These are steps you need to take before you move on to the next section. I really think this is a great part of the program because it causes people to take action. After going through the entire course, I officially launched my first product on Amazon in August of 2013. I followed all of the steps taught in the course and within a few short months, I had over $5,000 in sales per month! I was very excited! In January of 2014, I launched two other products and sales began to skyrocket! 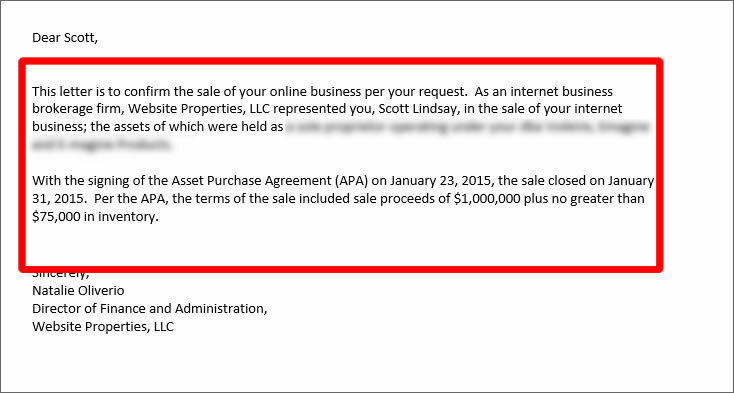 By the end of 2014 I had done over $1.3 million dollars in sales which is over $100,000 per month! What they taught in the course actually worked. For the year of 2014 I made a net profit of $338,000. I was amazed how well the Amazing Selling Machine course had worked. I simply followed the steps taught by Matt and Jason and everything fell right into place. At the beginning of 2015 I was approached by someone who wanted to buy my Amazon business. The offer was for $1.07 million! I decided at that time I would sell and in February of 2015 the sale was final. I had sold my business for $1.07 million for only 18 months of work. Combine that with my $338,000 net profit I made over $1.4 million in 18 months! So after I sold my first business, in march of 2015, I immediately launched two new brands on Amazon. By June 2015, the products were on Amazon and beginning to sell. Within 12 months this business grew to over $800,0000! 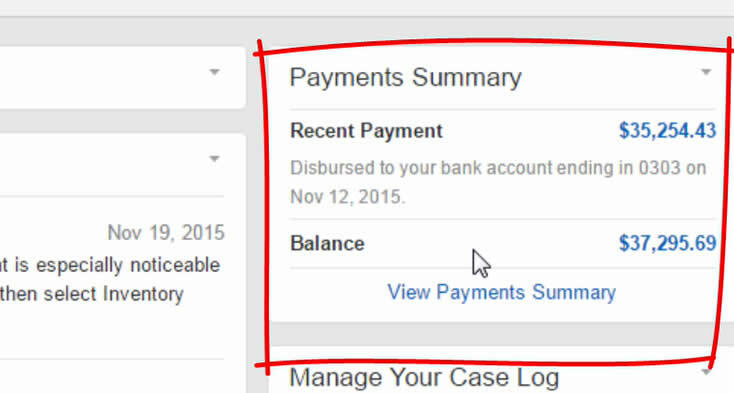 You can see by November of 2015 I had already built a new business making me close to $72,0000 per month! This was all by using the same techniques I learn in the Amazing Selling Machine. Just rinse and repeat and these techniques simply work. (*) TYPICALITY DISCLAIMER: These results may not be typical. ASM members joining between 2013-2016 who completed the program and launched a new brand had median annual revenue of $60,750.00. Since my first start with the Amazing Selling Machine things have only been getting better. The course has now been revised and updated 9 times since 2013. It has continued to get better with each new release. The new course is simply incredible. The newest release is so much better than the first course called ASM1. The video quality, the content, the strategies all just keep getting better. The best part is that once you sign up you get continued access to all of their new updates at no additional cost. This Amazing Selling Machine review was written from my perspective because I have four years of experience with the program. So, when it comes to rendering an opinion on The Amazing Selling Machine, I would HIGHLY recommend this course. I can say with complete assurance that if you will put into practice what is taught in the course it will work. I myself have taken this course and have continued to apply what is taught. The content is excellent and thorough. If you want a course that teaches you everything you need to know about how to sell on Amazon and then some, then this course will not disappoint. However, I feel I must mitigate that recommendation by reiterating that it is NOT the only good Amazon-selling course out there but I do feel it is the best. Other courses really don’t compare to what is offered with the Amazing Selling Machine. As I said above, this course only opens to the public maybe once a year. So if you really want to sell on Amazon and learn from the very best, take advantage of the course and sign up whenever you see they are open for registration. I can assure you if you will take what you learn in the The Amazing Selling Machine course and put it into action, you will not be let down. SPECIAL NOTICE: RIGHT NOW THEY’RE OFFERING TOTALLY FREE TRAINING. I know that you updated this post in 2018, but I just wanted to make sure selling on Amazon using private label is still a viable option today as much as it was in 2013 when you started selling. I am looking at Amazing or Marketplace Superheroes and want to make sure it is a viable way to make a living. Many will say that selling on Amazon using private label is saturated and that it’s no longer a viable option. I don’t believe that. I believe the opportunity is better than ever and has actually grown. Amazon has been making changes that over the long term, should help sellers who want to build real brands to be more successful and hopefully weed out those that are not serious. So in my opinion, the opportunity is still great but you will have to make the final judgement based on your own analysis. Thank you for taking time to make this review. It is by far, the best unbiased review on ASM I was able to find. Got couple questions wondering if you can help me answer. I am currently residing in Japan, so we have Amazon here. The rules might be different here than in the US, but do you need to set up a company first before you can start the business? Also, do you need to set up bank accounts in the countries you sell in ? For example, if I sell in Amazon.com, do I need a US bank account or a European bank account if I want to sell in Amazon.UK? Just wondering if the course covers these points where sellers are not residing in the country they sell in. I’m glad the review could help you. Yes, you should start some form of company first even if it’s just a sole proprietorship and get set up to collect sales taxes. It may be different in Japan than the US. In regard to your other questions, yes, the Amazing Selling machine will cover all the points you need to know about selling in the US and other countries. Plus, you can always ask questions in their community and usually receive answers fast. On top of that their support team will also answer questions and direct you how to find the answers.